As her parents clash over unwashed dishes and unlit fires, ten-year-old Laura works hard to keep the household running. When her mother disappears into the bush, Laura finds a farewell note and makes an impulsive decision that alters the course of her family’s life. Despite her anger and grief, Laura helps her father clear their wild acreage to carve out a farm. But gradually they realise that while they may own the land, they cannot tame it - nor can they escape their past. 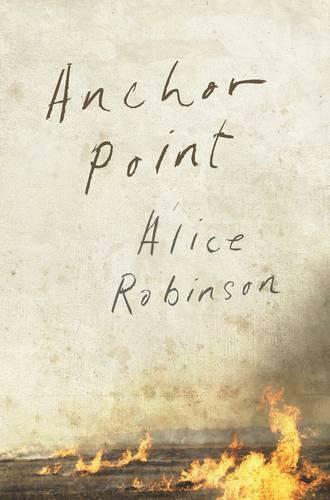 Anchor Point is a promising debut novel because of the quality of its young author’s writing. Alice Robinson is a local creative writing teacher, and her writing is lyrical and seamless. The story is set in the Australian bush and narrated by Laura who is 10 years old when we first meet her in 1978. Her father, Bruce, works on the land, and her mother, Kath, attempts to ‘keep house’, though that task largely falls to Laura, as does the care of her young sister Viktoria. Laura tries to prevent fights between her parents by anticipating the tasks of the household – making lunch for her father, lighting the stove, and attending to the animals. For the most part, Kath prefers to be alone in her garden studio, making ceramics. However, as much as she tries, Laura can’t hide her mother’s ‘deficiencies’ from her father, and they fight regularly while Laura attempts to soothe her sister. One day, after the arguments have reached epic proportions, Laura and her sister return to an empty home. It is also the day of a significant flash flood. Hearing that Kath may have gone to the creek to find clay for her pots, Bruce goes to search for her. While he is gone, Laura finds a note from her mother but, in a panic, puts it into the stove where it bursts into flames. She does not reveal the note’s content or her life-changing act to anyone over the ensuing 40 years, and must live with the associated guilt, especially after extensive searches fail to find Kath and a memorial service is held. This book is many things. It’s an intricate portrait of the relationship between sisters, where one is highly dependent on the other. It’s a story of grief over a missing mother and wife. Anchor Point is also an homage to the Australian landscape and its excesses of flood and fire. The only issue for me was that the book lacked narrative tension, and any sense of ‘resolution’ came late in the book.